Today, In this tutorial I will guide you about placing Adsense ads below your post title and also anywhere in the middle of your blogger posts. You can easily add code of Google AdSense ads by following this tutorial and screenshots. Login to your blogger account and select the blog in which you want to place the Ads. Navigate to 'Template' and click om Edit template. Now locate this <data:post.body/> in your template. To locate easily click anywhere in HTML codings and press Ctrl+F to find the code. You may find this code several times in your template, but you have to stop at second one, if second does not work the you will have to try the third one. To convert your code Open HTML to XML tool, and paste your Adsense code there and click on covert. It will convert your code into XML. Now copy your new Adsense code and paste by replacing <!-- Add here Converted code of your ad -->. You have done. It will automatically start displaying Ads below your post title. If you want display your Ads between or anywhere in the middle of your posts, then follow this liitle guide. Place this tag <!-- adsense --> anywhere inside your blog, where you want to show ads and you will be done. 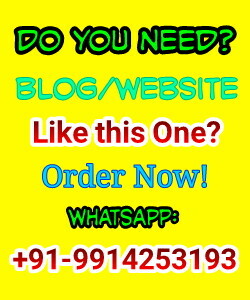 Add this tag after making your post editor in HTML language.See below in image. It's also very simple to make your ads floating left or right in your post by making little changes in your code. I give my best while writing this post to make it easy and clear to understand the tags, that's why I use screenshots also in this post. If you don't have much knowledge in template editing or HTML editing still you can do it by following this guide step by step. If you are not able to do this then please let me through comment box, I will do this for you. 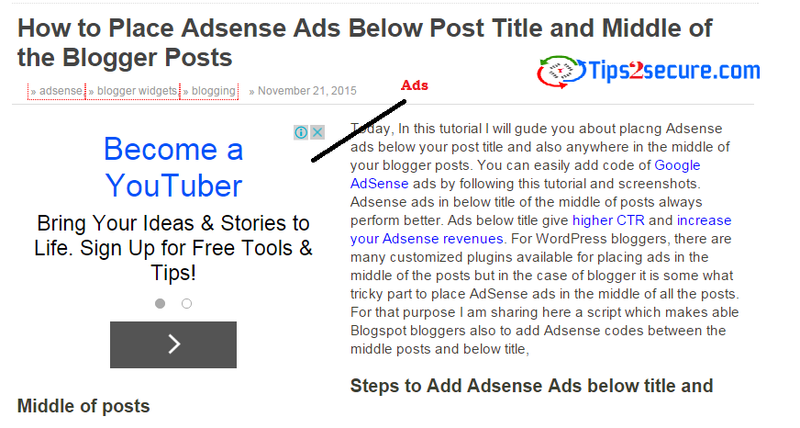 Message: I hope that you have enjoyed 'How to Place Adsense Ads Below Post Title and Middle of the Blogger Posts' article. However, if you want me to deliver more items, then please share my post. You can use Social Sharing Widget provided at the end of every post. After all, Sharing is Caring! Yeah sure, and if you face any problem or difficulty then let me know. I'm glad you liked this article. Ads are showing but there is a problem, my post is also become double i mean two times. one with ads and other with no ads. after adding in second but no change in 1st code. Thanks for the fantastic article Suresh! I found an awesome Google Adsese Code Converter . This tool has incredible user experiance other then any adsese code converter on the web. Check the steps and codes again and make sure everything is according to this tutorial. You missed something, give it try once again or hire any blog designer for this job. How you place link ads below posts? Hey I used the same for my blog. Its only showing ads below post title rather than showing in the place where I have put the . it is only working in desktop view. ads are automatically displaying in the center ob desktop view.